The following organizations and businesses support us in our mission to provide a compassionate no-kill, no-breed haven for abused, neglected, and unwanted exotic animals. Words cannot express our gratitude for their generous donations of time, food, money, building products and raising public awareness of us. Please support them by using the links below and visiting these wonderful and caring establishments.....Many Thanks! 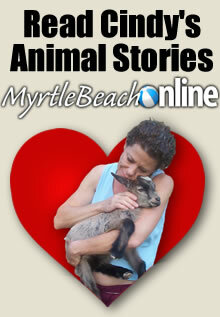 Located in Surfside Beach, South Carolina, they believe in treating all animals with love, kindness and consideration. 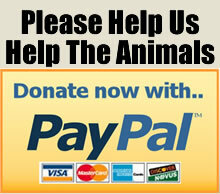 They will not stand for any type of animal abuse or neglect. 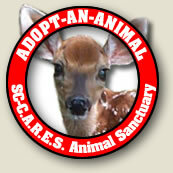 They will educate our clients owners so that they will be able to take care of there pets properly. They will do whatever it takes to make your pet comfortable while at our facility. Located in Myrtle Beach, South Carolina, Started as an idea in Atlanta, Georgia in 2002 and now a reality in 2007. Tammy Stout has always been a bird and nature lover. Having seen and tried many products and ideas in the past, she now brings them to you in her unique new store Backyard Habitat. From the simple yet highest quality bird seed to the most unique items in garden decor. Come check out the many products available today. Located in Moncks Corner, 30 minutes north of Charleston, they are a no-kill facility whose mission is to feed the hungry, love the frightened and provide the necessary healthcare for Great Danes who are abandoned, abused or neglected. Great Dane Rescue of SC also finds qualified homes for these gentle giants and offers education on nutrition, proper care and the advantages of spaying and neutering. Located in Suffolk County, Long Island, New York, Parrot Rescue, Inc. is dedicated to the rescue and rehabilitation of abused and neglected companion parrots. This site matches the finder of a lost bird to the owner of the bird. This site matches the finder of a lost dog to the owner of the dog. This site matches the finder of a lost cat to the owner of the cat. Located in the heart of Historic Georgetown, South Carolina, Sweeties Sweets is famous for their original Lowcountry pralines and hand-dipped chocolates and located in the heart of Historic Georgetown, South Carolina. Located in Mt. Pleasant, South Carolina, Whole Foods Market has the highest quality natural and organic products available. They have been donating much needed fruits and veggies to the sanctuary! Oh and may I suggest the fresh chocolate chip cookies! They are the best on the planet! If you take a trip let us know and we will make the arrangements with the store and you can bring back some goodies for the animals. Located in the heart of Historic Georgetown, South Carolina, Buzz's Roost offers relaxed entertainment from three separate bars in one location. Located in Pawleys Island, South Carolina, Louis's at Pawley's offers a dining experience akin to spending an evening in a middle to late 18th century plantation house. We hope that you will let us meet all of your entertainment needs in 2008. The "PIT" still serve's daily lunch specials starting under $9.00, and now has an expanded menu to include nightly specials. We also offer home-made desserts and a wide variety of libations. Don't miss our nightly entertainment, featuring some of the best in local talent, Thursday through Sunday. We are now "WIFI" capable. Serving the Pawleys Island and Litchfield Beach areas of South Carolina, Joanne Gillet may use high tech tools to give you the information you need to make your decisions but it's old fashion values that are the corner stone of Joanne's business. She strives to live by those values both personally and professionally everyday. Located in Pawleys Island, South Carolina, Prince George Sotheby’s International Realty® offers many of the most beautiful homes and properties found along the gorgeous SC coast. We can be booked for almost any occasion... Please contact us for details or to request a booking. Listen to some of our songs on our web site. Specializing in British Motorcycles. "He's like a god when it comes to BSAs and Triumphs. Everyone knows Frank. Frank knows everything. He's done it all. He's raced. He'll do whatever you ask and do it with a personal touch, he's a legend." The professional staff of Huffman Helicopters, Inc. is pleased to welcome you to the world of Helicopter Aviation in the Coastal Carolinas! While many companies judge their success on simple factors such as profit earned or customers served, at Huffman Helicopters our success is only achieved when our customers are satisfied with our performance. We strive to deliver the utmost in Safety, Professionalism, Reliability and Customer Satisfaction. Located in Pawleys Island, South Carolina, Pawleys Island Lumber has serviced custom residential builders and home owners throughout the Grand Strand and Georgetown county for over 20 years. It really is time for a new idea in fencing. More strength. Much longer life. Much less costly to install. A better idea. We call that "the Stay-Tuff Advantage." As the premiere lifestyle publication of the Grand Strand, GS Magazine represents the best of low-country style, culture and fine living. From shopping, travel and the arts, to entertaining, dining and fashion, residents and tourists alike depend on GS for first-class coverage of the people and events that make our area, well ... grand! Serving Northeastern South Carolina, Grand Strand Pet is a monthly pet newspaper supporting local animal shelters and others who speak for the humane treatment of animals. 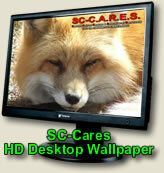 It is distributed at no cost and is supported by advertisers. Your healthy living magazine, is now in the Grand Strand. Each month they bring you the latest information on natural health, fitness, healthy living, and green living; along with the products and services that support your lifestyle. In each issue you will find local, national, and global news briefs, health briefs for you and your family, and recurring columns like Natural Pet, Conscious Eating, Fit Body, and Community Spotlight the section where they highlight a person or a business from our community. South Carolina Information Highway, the largest and most comprehensive directory of South Carolina information on the Internet.